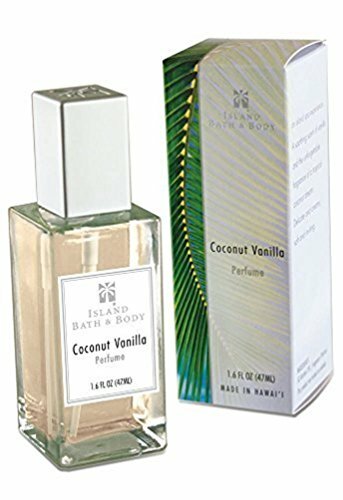 Value Pack 8 Bottles Island Bath & Body Coconut Vanilla Perfume 1.6 oz. Each by Welcome to the Islands at Angels Touch Vegas. MPN: 662419793197. Hurry! Limited time offer. Offer valid only while supplies last. Made in Hawaii and infused with a concentrated 25% fragrance, this enchanting Island Bath & Body Perfume spray is packaged in an elegant gift box. Made in Hawaii and infused with a concentrated 25% fragrance, this enchanting Island Bath & Body Perfume spray is packaged in an elegant gift box. 1.6 fl. oz. each. Value Pack 8 Bottles 1.6 oz. Each. Made in Hawaii and infused with a concentrated 25% fragrance, this enchanting Island Bath & Body Perfume spray is packaged in an elegant gift box.